Special Notice: We are looking to add new products to our Cleaning Professional Catalog. 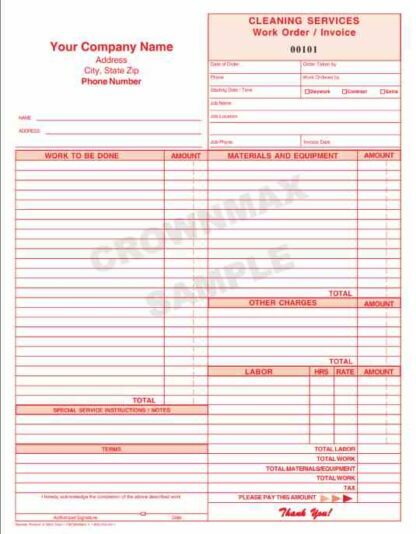 If you or your company has a current form or forms that you are using and would release us to re-sale your layout to other cleaning companies we will waive all typesetting fees for that form. 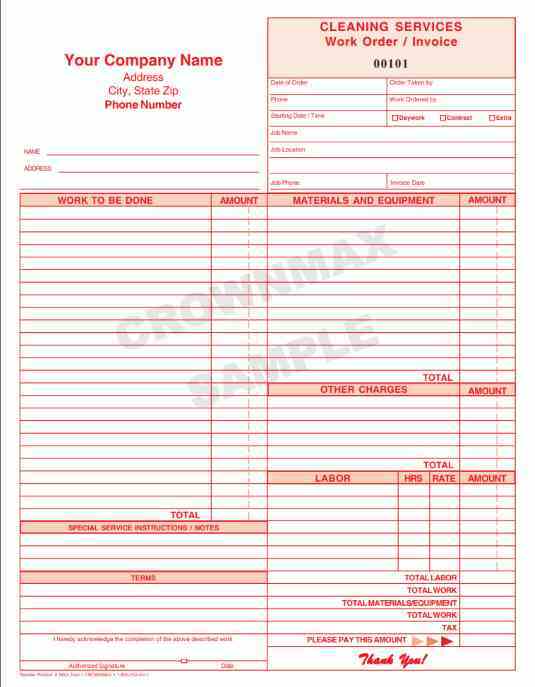 Email or Fax us a ledgable copy to artwork@crownmax.com or 1-800-760-1801 toll free fax for approval.